The days are getting shorter, the nights are getting cooler, and people are swapping out their bathing suits for bookbags. It can only mean one thing: a new school year is on the horizon. 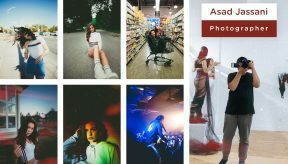 We know that heading back to school after summer vacation can be tough, but we also know what can make the transition a little easier: a new wardrobe filled with fierce ‘fits. 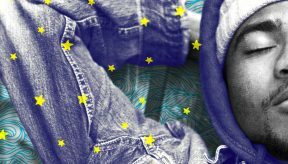 Of course, buying a bunch of new clothes and accessories can certainly add up. That’s why we’ve put together a list of six perfect and easy looks from H&M that won’t break the bank. We hope you’re taking notes—class is now in session. 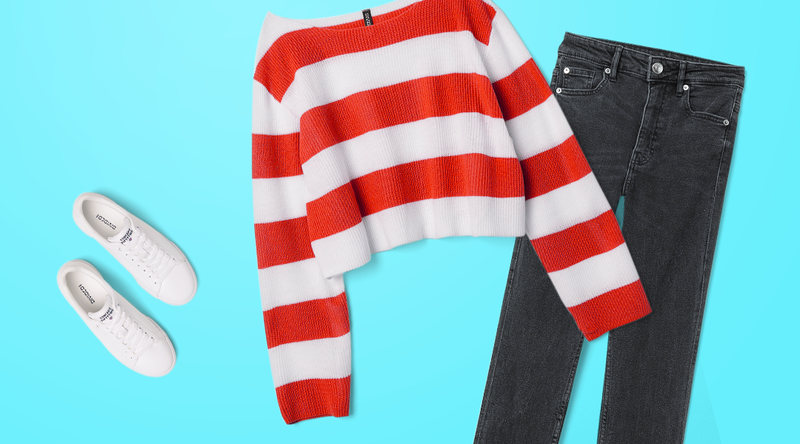 You can never go wrong with the classic striped-sweater-and-jeans combo. Keep it fresh by opting for slightly boxy, oversized top and balance it out with a pair of high-waisted dark jeans. Cap it off with a pair of crisp-and-clean white sneakers to add a hint of summer to this quintessential fall look. No uniform? No problem. You can channel that classic schoolgirl look, but still make it your own, by choosing collegiate-inspired pieces with an edgy twist. This cherry red plaid skirt by H&M makes the grade — add in a wide V-neck sweater and black boots for a preppy-meets-punk look that is sure to turn heads. Sometimes, all you need is one statement piece to turn your simplest closet staples into a serious look. 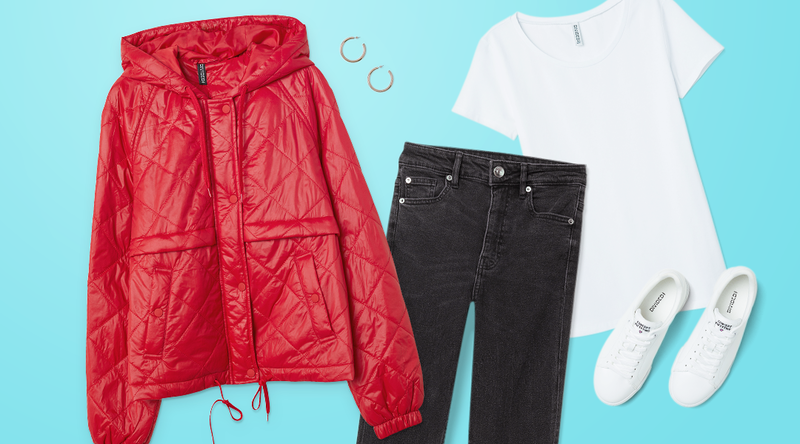 This white-T-shirt-and-jeans combination gets a major upgrade when topped off with a bold and bright red quilted jacket, courtesy of H&M. Trendy hoop earrings are the perfect finishing touch for this sporty, streetwear-inspired outfit. Don’t shy away from a little slouch. There’s something about a menswear-inspired look that feels effortlessly stylish — and a little extra legroom never hurt anybody. These oversized plaid grey pants by H&M are almost too cool for school. A bright blue graphic tee, white sneakers and light-framed sunglasses round off this borrowed-from-the-boys outfit. Who says floral prints are exclusive to spring and summer? Keep that easy, breezy warm weather feeling going well into the new semester with this flouncy floral look. 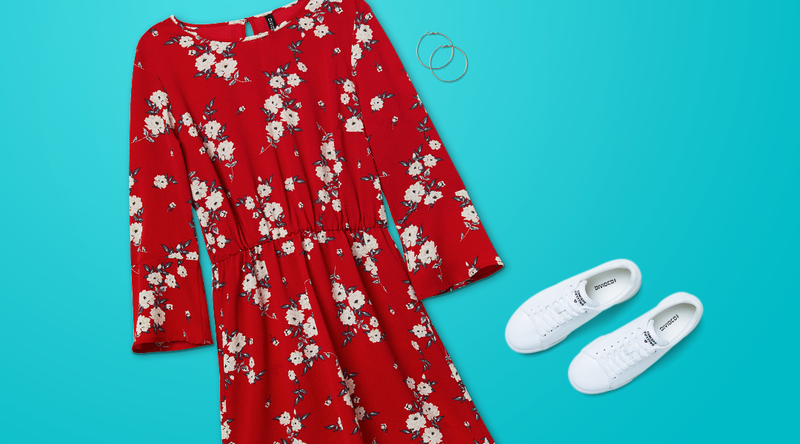 White sneakers make this outfit casual enough for class, while hoop earrings add the perfect touch of sass to balance out the ultra-femme dress. 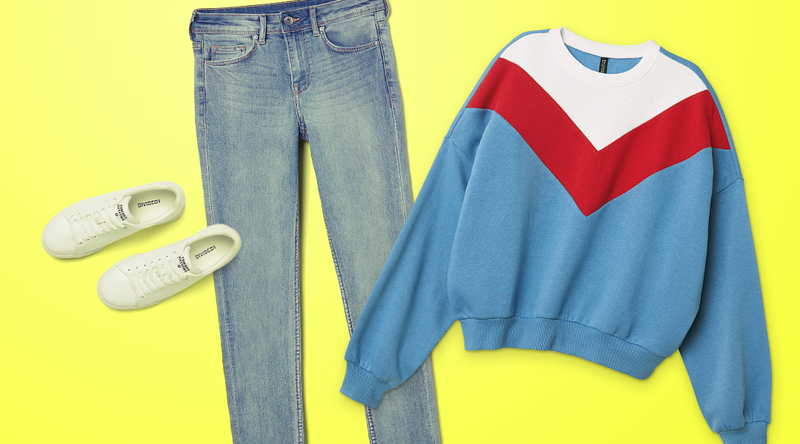 No need to dig through your parents’ closet for that perfect retro back-to-school outfit. Eighties and nineties-inspired pieces are still majorly trending. 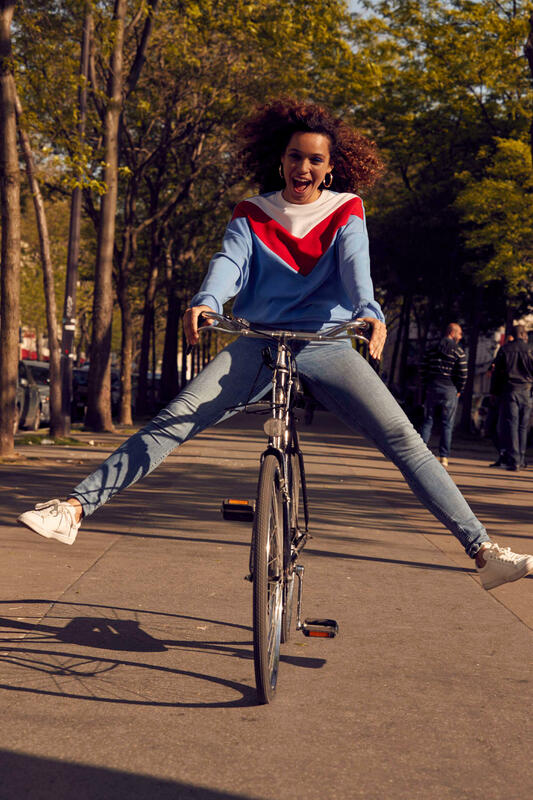 Get the look from H&M by pairing a colour-blocked sweater with light wash skinny jeans and white sneakers for a vintage-feeling look that’s current, not costume-y. From getting your textbooks to figuring out your class schedule, preparing for a new school year can be hectic. But thanks to H&M, planning your back-to-school outfits doesn’t have to feel like homework. Check out an H&M store near you or shop online to find affordable fashions that can suit any style. 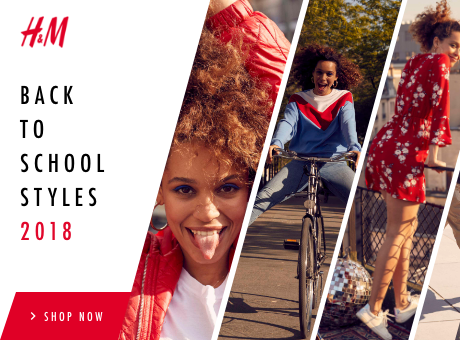 Whether your look is more on the sporty side or flirty and feminine, these A+ outfit combos will having you walking down those school hallways with confidence.